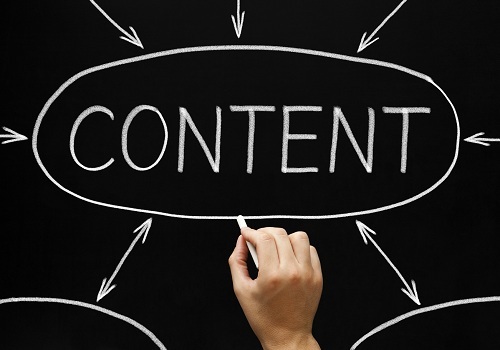 Content is KING, and the importance of quality content on online branding is very crucial. For every business entity, creating a high brand awareness is one of the fundamental steps to survive in the ever competitive business environment. With the emergence of social media and the internet, much focus has been shifted, from our private lives to our daily activities, right to our corporate existence. Everything now revolves around the web. Now, for your brand to succeed online, you need to be unique and different from the rest. When potential clients search for services or products related to your field, it is your online brand presence that keeps them engaged when you are not readily available to attend to inquiries. Your online brand presence helps serve as a reference guide to potential clients who come across your content on the internet. It helps describes the nature of services offered by you and talks about your brand in general. One of the best ways of promoting brand online brand awareness is by creating and sharing high-quality contents. It is a proven marketing strategy used by leading firms to advertise their business and increase visibility which ultimately leads to more sales. There are so many different definitions and opinions as to what Quality Content means. Simply put, “quality content is what people want to digest because it helps or entertains them, tells them how to do something or where to find something of great value. According to Statista.com, It is approximated that over half of the world’s population participate actively in at least one or two social media platforms. Top on the list is Facebook, which has over 2.7 billion estimated users worldwide as at the third quarter of 2017 and that figure is widely expected to double or even triple in the next couple of years. Now when your brand content is shared on social media, there is every possibility of it to be seen, liked and re-shared by thousands of people all over the world. Most social media platforms have post sharing features; this enables your brand content to be repeatedly shared and go viral across these platforms. Good quality content will get shared, linked, and will provide tremendous PR and SEO benefits, as well as direct traffic and conversions for business owners. Aside from Social media platforms, search engines also love quality content. Something unique and different which offers substance or information of real value that cannot be found anywhere else. Whenever fresh content or posts are published, top search engines like Google, Bing, Yahoo and AOL to mention but a few crawl these social media platforms and index these posts very quickly. By so doing, your brand awareness increases and each time relevant keywords related to your service or product is searched for on these search engines, your content appears, and there is every possibility of it being shared across any social media platform. SUMMARY: Quality content plays a significant role in Online branding. It helps in positioning your business and determines how successful an organization would cope in the ever competitive business terrain. According to reports conducted by brand analysts, firms which have a robust online presence tend to control a more significant percentage of the market, thereby increasing revenues, developing new business relationships and expanding the scope of its operations.